Welcome to my blog feature, Building Character in which you get to meet book characters. Talking to a character outside of their book is fun! Huge. Amounts. Of fun. 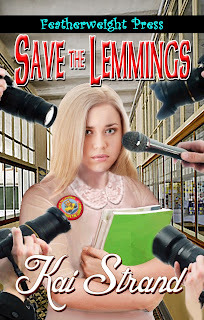 Be sure to read all the way to the bottom to learn how you can enter for your chance to win a Kindle version of Save the Lemmings. This week Strands of Thought welcomes Natalie and Trudy from Save the Lemmings. Girls, why don’t you introduce yourselves to our readers? Hi, my name is Natalie Isabelle Cailean Edwards. I’m 12 yrs old and in the 8th grade at Carver Middle School. I have three lifelong friends who I can’t live without. My parents are the best parents a girl could ask for and my silly cat, Whisper, makes me smile every day with his grumpy-bear attitude. Yeah, and I’m Trudy. I’ve been going to school with Natalie forever, so you can feel good and sorry for me. Did you notice her initials spell “nice”? I don’t know if her parents were prophetic or if Nat just took the whole “nice” thing way too far, but she’s annoyingly nice. She has an inspirational phrase for any occasion and she’s always trying to reform my friends and I. Like that’s EVER gonna happen. Eighth grade at middle school! Certainly there is drama and angst. Tell us what kind of conflict you are up against. Natalie: It wasn’t supposed to be a conflict at all. See, I’m an inventor. I take existing products and update them with current technology or improve on their function. My latest invention, The Texty-Talky, is being manufactured by my father’s company. Oh my goodness, if I could bottle the thrill I felt when we signed that contract! Anyway, everything was fine until the media got a hold of the story and somehow my life became theirs and I lost all control. They print everything I do plus they make up a bunch of stuff. I don’t think they mean to harm me like they have. Nobody would be that cruel, right? Trudy: See how nice she is? Notice how I’m sitting here, right next to her, and she doesn’t even mention the prank I pulled on her that got her in major trouble at school? Natalie, trying to get control of your life back from people you don’t even know sounds like a huge challenge. What have you learned about yourself or friend or family while trying to resolve your problem? Natalie: Okay, fine, Miss Trudy. You want me to mention you, I will. During this entire debacle, Trudy here has been the only person to treat me exactly the same the entire time. She didn’t suddenly become my best friend just to get in front of the cameras. She didn’t believe the news reports about me selling or doing drugs – or whatever they were accusing me of. She continued to treat me the same as she always has. I really respect that about her. Trudy: *shakes her head* See? What would you say is your strongest personality trait? Trudy: Ooo, can I answer this for her? Natalie: No, Trudy. We’ve already heard what you think of my personality. Actually, Trudy isn’t alone in her un-appreciation for my sunny disposition. Most of the kids at school and many of the teachers have expressed their annoyance over the years. After the media hopped on board and started giving me a hard time I seriously considered changing. I even wore black to school one day. *shudders* But I’m hear to tell you, especially all you kids out there, that it is up to YOU who you are going to be in life. It isn’t up to Trudy or Bryson or Jed Tellum. It is for YOU to decide. If you like who you are, hold onto it tight and don’t let the world rock your confidence. Because we need each and every one of the YOUs out there. Trudy: Wow, Nat, that was an entire inspiration speech! You’ve graduated from the sayings? Share with our readers your three favorite movies. Natalie: Wait a minute…aren’t some of those Rated R! Finally, what words of wisdom would you like to share with our readers? Trudy: For words of wisdom, I defer to Natalie. Natalie: Well, I already said how important it is to stay true to yourself, but another thing that is super important is to communicate. I almost lost my three lifelong friends because of a lack of communication. If we’d just kept the dialogue open, we’d never have had that problem. Some subjects are hard to talk about. But a good friendship can withstand any topic if it is delivered with love. Thank you, Natalie and Trudy for joining us this week on Building Character. It has been fun getting to know you. 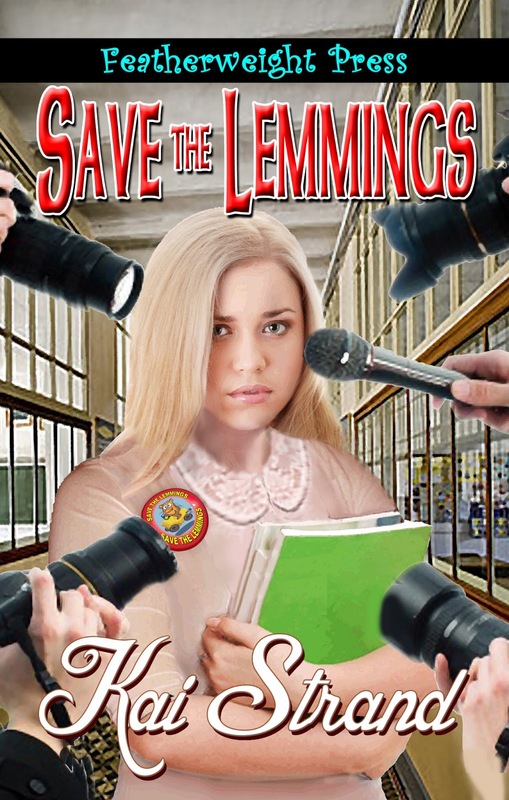 Readers, be sure to pick up their story, Save the Lemmings. When Natalie’s Texty-Talky invention makes her an overnight sensation, the media digs until they find a way to smear her goody-goody image. When her best friends start believing what they read, Natalie’s sunny spirit is pushed to its limits. How will Natalie stop the lies and win her friends back? And who will SAVE THE LEMMINGS? Kai Strand writes fiction for kids and teens. Her debut novel, The Weaver, was a finalist in the 2012 EPIC eBook Awards. She is a (very lucky) wife and the mother of four amazing kids. The most common sound in her household is laughter. The second most common is, "Do your dishes!" She and her family hike, geocache, and canoe in beautiful Central Oregon, where they call home. 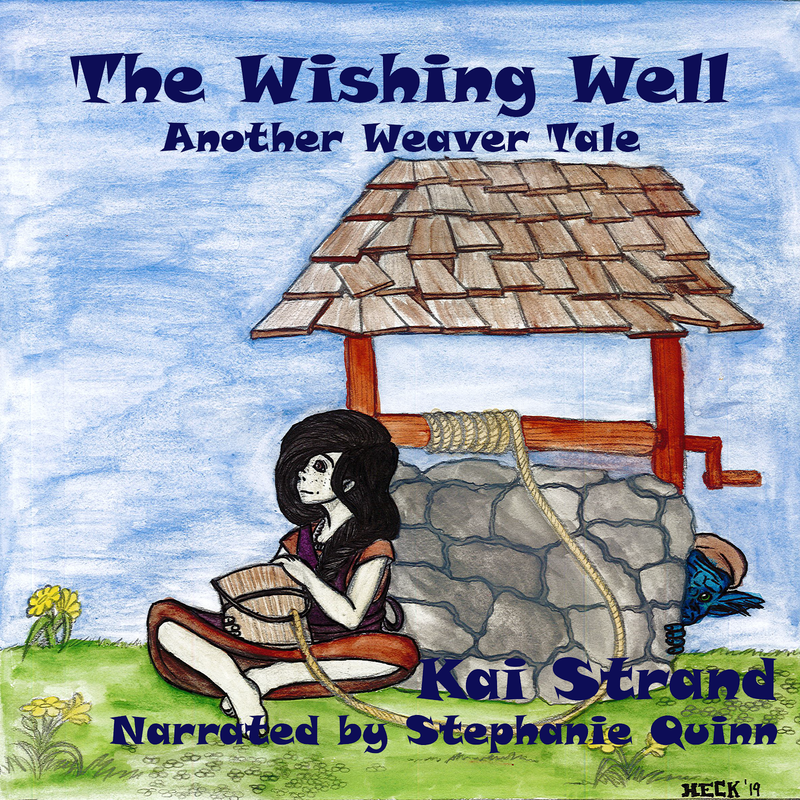 To find out more about Kai’s books, download companion documents, find links to her published short stories and discover all the places to find Kai both virtually and in person, visit her website: www.kaistrand.com. She loves to hear from readers, so feel free to send her an email or visit her facebook page, Kai Strand, Author. https://www.facebook.com/KaiStrandAuthor or follow her on Twitter: @KaiStrand. Thanks Donna. I'm happy to interview any of your characters that you'd like. I'll send it to you. Hi Kai, Ditto! I love the characters talking like this. Gives one a real feel for how they interact in the book. Great idea. How do I enter to win the kindle book? Share this on my blog? I don't know why it isn't showing! Holy Moses. Share the link to this interview on Facebook and tag my Facebook page (https://www.facebook.com/KaiStrandAuthor) then click the first line in the rafflecopter to make your entry. and/or share the link to this interview on Twitter and tag me (@KaiStrand) and click on the second link line in the rafflecopter to enter. You can do one of both of those once a day until the contest ends. What a terrific idea. I like the dialogue here as well. Good luck with it all! Thanks, Nancy. They are fun characters and play well off of each other. You must really know your characters. How fun! We spent a lot of time together on the way to publication (wink). I miss them. This was fun. Thanks for visiting Mary. Ah, love the insight the girls give us. They definitely are interesting characters. Mm. I left a comment earlier today, but Blogspot hates me. :( I've been having trouble with it lately. Will try again. Great interview, Natalie and Trudy. See, you can be nice to each other. Tell your author she did a good job. You're interesting characters. Thanks for stopping in Bev. I'm especially proud of Trudy for behaving for the interview. Ha ha!